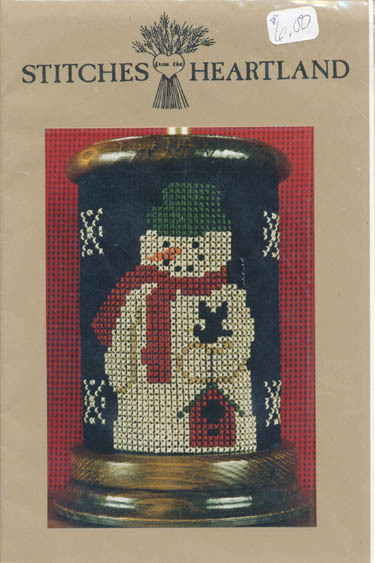 Snowman with bird and birdhouse and red scarf. Can be framed or used to wrap around a lamp as shown. Model stitched on 8 ct Navy Heatherfield.